Calcium and magnesium dissolved in water are the two most common minerals that make “hard water dots.” This is a recipe for disaster for your glass. We are able to restore your glass now creating an astonishing clear resolution, removing all the glass water spots and etching with Benaz. Now experience unbelievable clarity, on an unbelievable scale. 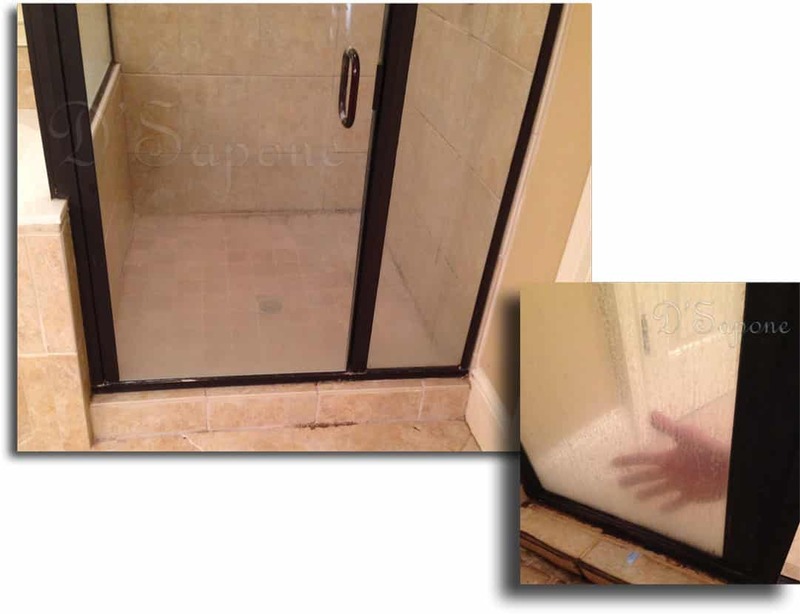 We want to restore your glass to reflect the new appearance of your shower restoration. Knowing your eye for detail makes restoring the entrance to your shower, the final touch. Read our maintenance below to keep the clarity. It’s Epic – to watch Valore’s invisible bonding molecules unfold in front of your eyes. Try the Valore Experience yourself and watch water sheet off the surface instantly, drying dot free – within seconds of applying. 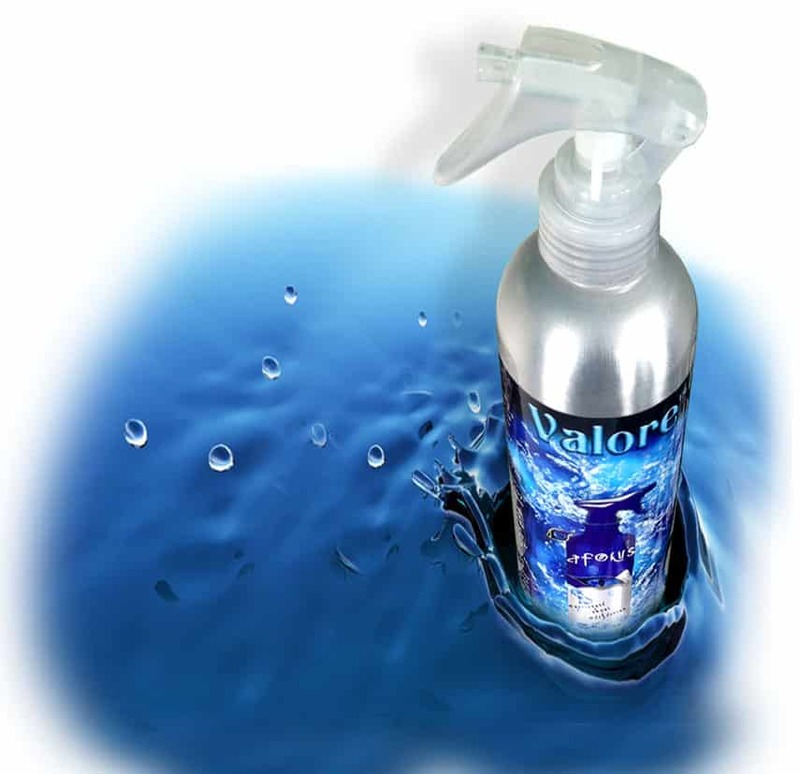 Science meets technology and results in a maintenance free shower protected by Valore – a smooth aluminum bottle that seamlessly fits your hand filled with your own maid, which keeps a spotless shower. So long glass water spots. Will all the water spots that are etched in my glass be removed? Yes. All etching and water spots will be gone, leaving a stunning clarity look. Does Benaz have an odor and is it biodegradable? Yes. It has a spearmint smell and the product is 100% biodegradable. Can you remove all the scratches? Our process removes light surface scratches, not deep scratches. Will this process remove all the water dots on my metal frame? Of coarse, we can remove all the water spots from your frame as long as the finish on the metal is still present. This service will be quoted separate. We have very hard water, how do we prevent this from happening again? Once we finish, we will seal your glass with Valore and you can also maintain it with this same product, after we leave. We guarantee, you will never have this issue again. Where can we purchase the Valore, glass cleaner and sealer? You can purchase warranties through D'Sapone® or you can purchase the product directly from pFOkUS®. How often would I spray Valore after the service has been completed? Use Valore as your glass cleaner and use a minimal once a week. 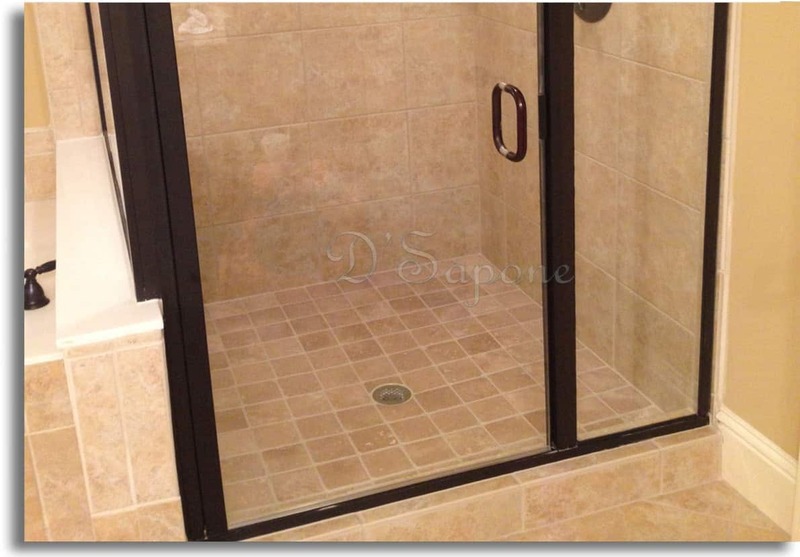 Why should we hire D'Sapone® to restore our glass water spots? We have been certified and trained to restore glass.